The Rondamat 985 offers you ideal prerequisites for perfect sharpening of planing cutterheads up to 720 mm wide - irrespective of whether it be a conventional cutterhead, hydro cutterhead or a shaft cutterhead. Because the knives are sharpened in the cutterhead it is even possible to subsequently joint hydro clamped tools. 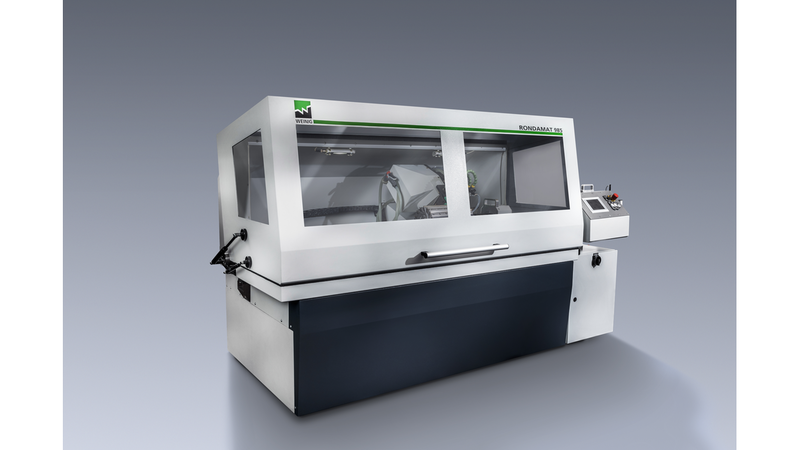 The basis for the high precision of the machine is the massive spindle carrier. The machine operator must only enter the working parameters and start the machine. While the tool is being sharpened the operator can pursue other activities because the machine works completely independent.